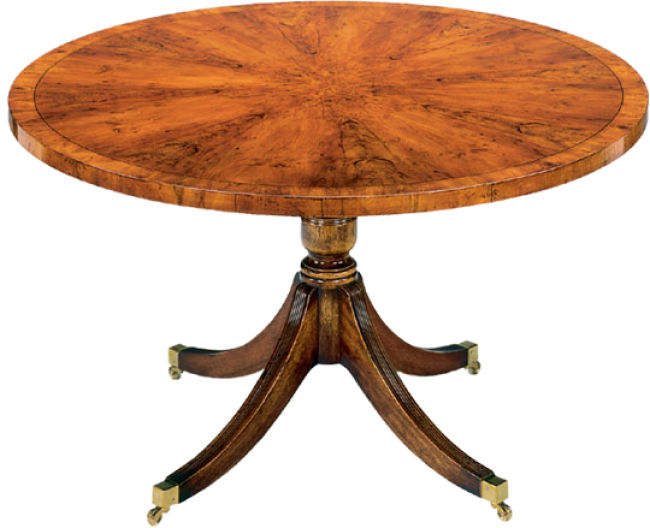 Round conference table with a two inch reeded edge. The table features pie shaped veneers and crossbanding with Ebony stringing. Sheraton single column base. Available up to 54" with single column base, over 54" Platform base is required. Pictured in Yewwood at 48" round.